Naturally esscenced sparkling water. 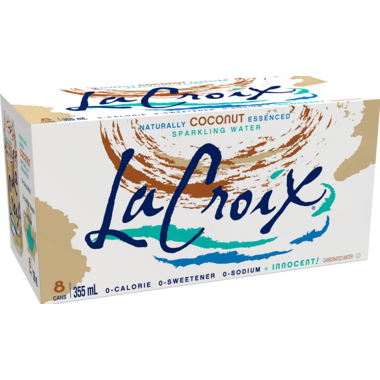 The refreshing flavours are derived from the natural essence oils extracted from the named fruit used in each of the LaCroix flavours. 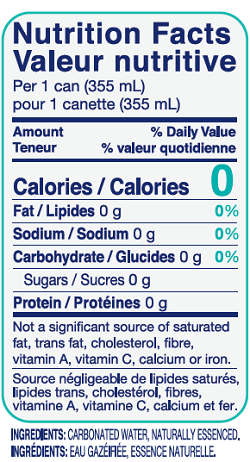 No artificial sweeteners, sugars or sodium added. I wish I didnâ€™t love this so much because of the cost, but Iâ€™m hooked! Tastes the way a tropical vacation makes you feel! No winter blues anymore. My favourite flavour. Extra special with a splash of pineapple juice and a squeeze of lime. If you like Malibu Rum you MAY like this flavour... I found it tasted like sunscreen (or rather, how it smells)...very artificial and very strong flavour. Ick. Tastes like sunscreen smells but in the BEST way...! So good, and free of all the nasty stuff. Very glad I found it on well.ca, will definitely be reordering this one. Tastes so good and like real coconuts without any sweetness. Will definitely purchase again. Bubbly texture, and the toasted coconut flavour canâ€™t find it anywhere else near my house. So happy I found these!